Conrad Treasury Casino in Brisbane, Australia, is promoting special deals for couples on Valentine’s Day this year with a modified playing card. 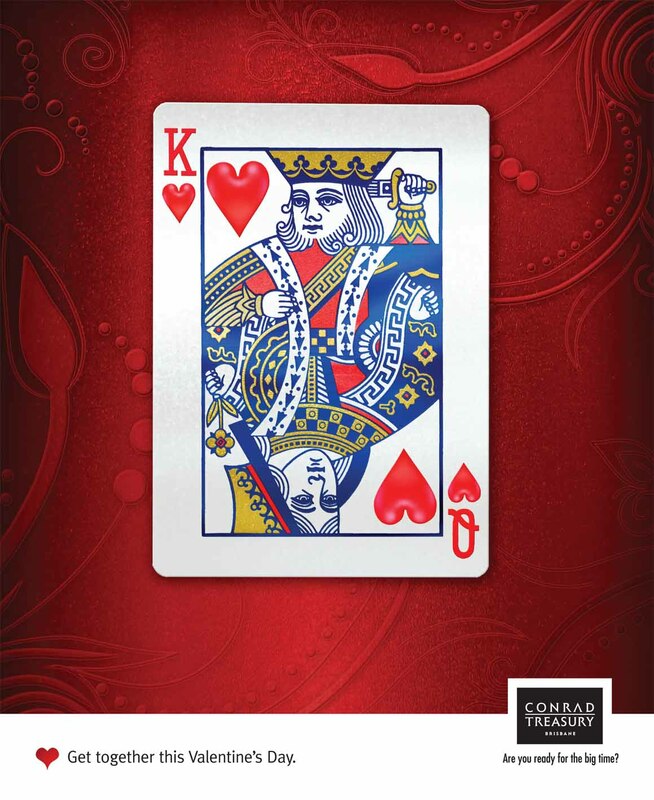 A King and Queen of Hearts find themselves on the same card to “Get Together This Valentine’s Day”. The Valentines Day Card was designed at Junior Brisbane by executive creative director Steve Minon, creative director Jonathan Drapes, art director Sharon Edmonstron, copywriter Misha McDonald.